Anya Court, our care home in Rugby, has been named ‘Large Business of the Year’ at the Rugby Business Excellence Awards. 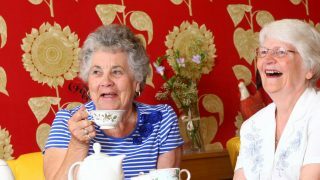 The home which specialises in residential, nursing and dementia care, was praised for its welcoming atmosphere, team dedication and professionalism at the boroughs business awards. The awards first established in 1998, acknowledge the hard work of local businesses and the contribution shown throughout the year. A panel of judges from Brethertons Solicitors reviewed the information sent in by the home last month, along with two other local businesses, before coming to their decision. Entrants were judged on their business plan, evidence of goals set and achieved, customer satisfaction, commitment to staff development and other aspects including environmental policies, innovation and community investment. Colin Witherall, head of commercial law at Bretherton’s said: We were very impressed with Anya Court’s business model, from its growth and development in recent years, to its staff training and the sheer number of superb testimonials it receives from delighted customers. 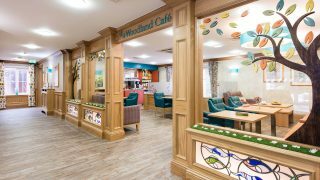 ​Anya Court, opened in October 2014 by television presenter John Craven, provides specialist care and its facilities include a hair salon, therapy room and emporium shop.